Last week Paul (Muir) and I spent 2 days in the northern German city of Bremen honing our static load test skills at the 2018 SAG Baumstatik Group AGM and 15th Workshop. The topic of the workshop was testing the stability of leaning trees. Unusually, this year it was an outside affair, and we got to test some big leaning trees with our European colleagues in the Group. Getting to grips with the logistics of running a test with colleagues from German, Italy, the Netherlands, Switzerland and the Czech Republic, all of whom have a slightly different way of doing things, was sometimes a challenge, but it was a great opportunity to share the latest equipment, tools and hacks developed by members to improve the efficiency and accuracy of the test. The data that we collected from the trees will be used by the Group to set standards and best practice for testing leaning trees and analysing the data using the statics model. It is always a real pleasure to meet up with the experts from across Europe and the rest of the world that make up the SAG Baumstatik Group to share our experiences and work together on tree statics. 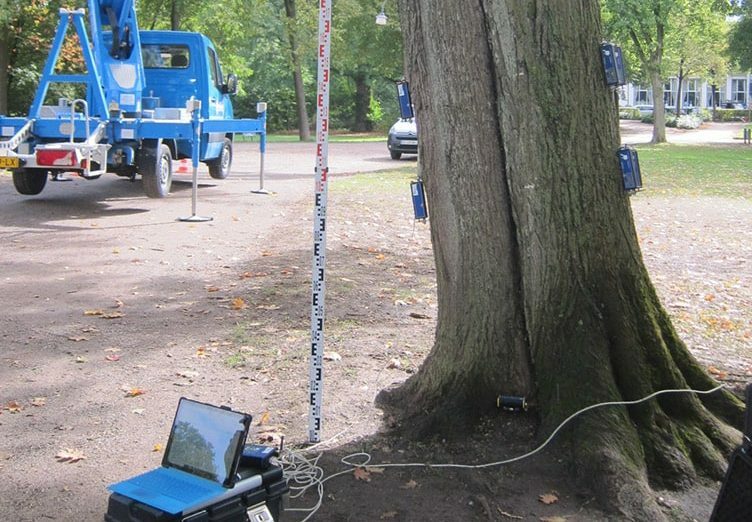 We are proud to be part of this forward-thinking group, which is committed to advancing and promoting tree statics as an assessment framework through the application of TreeCalc, SIA or the static load test (pulling test). Treework Environmental Practice’s involvement in the SAG Baumstatik Group and our adoption of the principles first developed by Wessolly and Sinn in the late 1980s has revolutionised our approach to assessing the likelihood of failure of trees in routine tree inspections, and especially assessing large and valuable trees. Statics principles and the static load test give our clients the confidence to retain trees, even when they have significant defects, because their decisions are supported by real data. If you would like to find out more about statics or the static load test (pull test) please contact Paul Muir at PaulMuir@treeworks.co.uk or 07966 647906 or Claire Harbinson at claireharbinson@treeworks.co.uk or 07908 556442.